One of the most common topics our clients ask us about when it comes to remodeling is the budget. People want to know what they can expect to spend on a remodel and where that money is going. Understanding how much a project will cost will help determine the scope of the project and if financing is needed. Our Remodeling Budget Calculator makes it simple! When planning your remodel, it is important to consider is how long you intend to stay in your home. If you think you’ll be selling within the next five years, you’ll want to look at any improvements as an investment. However, if you’re planning on staying in your current home for longer, choose updates that will make you happiest and make your life easier. With each project and home being different, it is nearly impossible to give a set figure on what a renovation should cost. That said, we can provide some guidelines to help you determine an appropriate remodeling budget and understand where the costs lie. Having this information can help you decide if it’s the right time to remodel. According to Remodeling Magazine, the average budget for an upscale kitchen renovation is about $82,000. 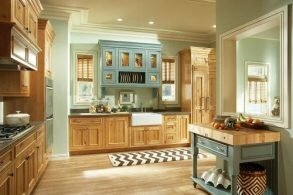 For a complete kitchen remodel, we recommend budgeting 10% to 20% of your home’s value. It’s important to note some of the specific details that are included in the cost breakdown. For example, mechanical costs include anything related to electrical, plumbing, or HVAC. Also, an exhaust hood is included in the appliance cost and lighting is considered a fixture. Again, these percentages can vary a bit with each project, but this guide can help you plan and understand the costs related to your remodel. At ACo, we work to make luxury affordable. That means we work with clients who have large budgets, as well as those who have more modest budgets. Each project is individual and unique, and we work closely with our clients to create a space that fits both their budget and their lifestyle. 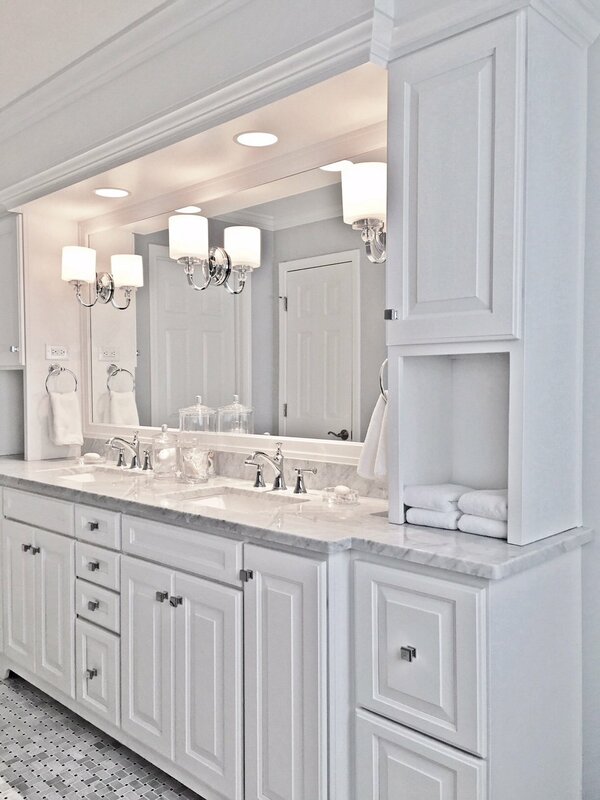 Are you interested in updating your kitchen and your bathroom? Do you have questions about budgeting and whether or not now is the right time to remodel? Schedule a consultation with us! We’ll talk about your home and your budget, and come up with a plan that fits your needs. Updating your kitchen or bath is an investment, but it’s one that pays dividends for years to come. Email this budget to me!